Would you like to have a part in making the 2018 WI SHRM State Conference a total success? If so, we welcome and encourage you to volunteer in one of several areas throughout our three day conference. Volunteering is a great opportunity for both Student and Professional members. 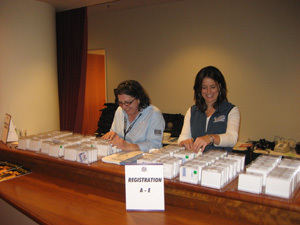 With just a small volunteer role from individuals like you, the conference will be a success! We could not run this conference without all of our volunteers. We hope you will consider volunteering this year! Already registered?! Adding Volunteer to your registration is easy! Follow the instructions found here.